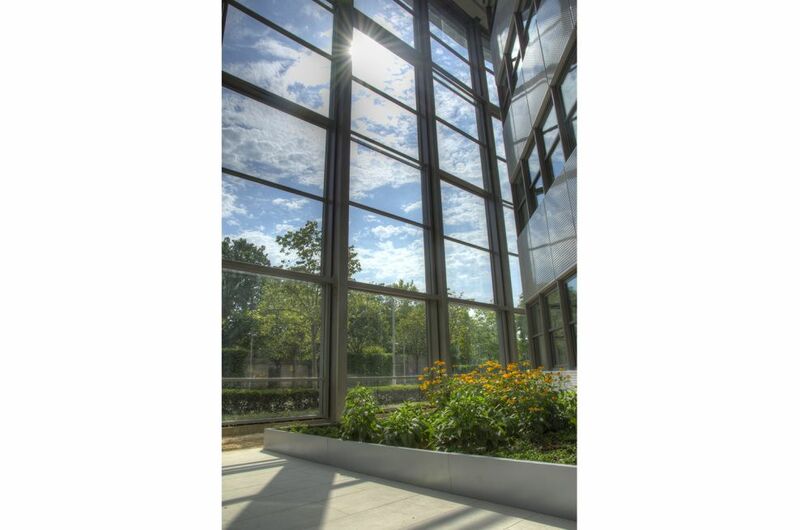 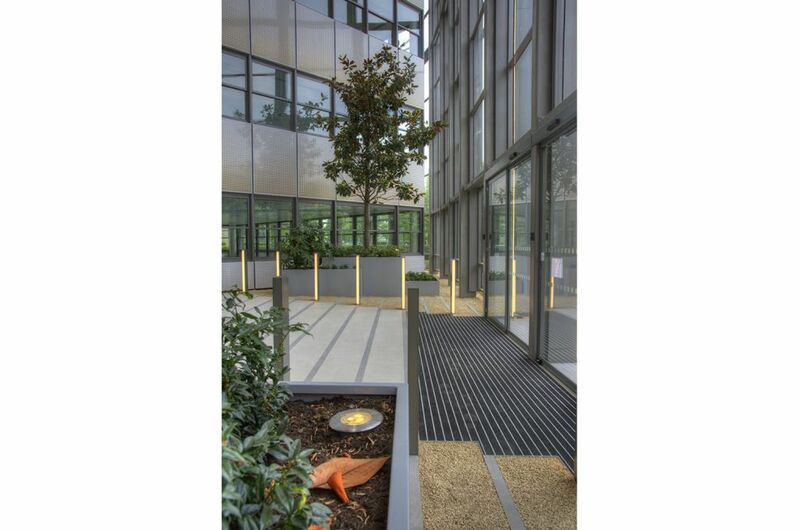 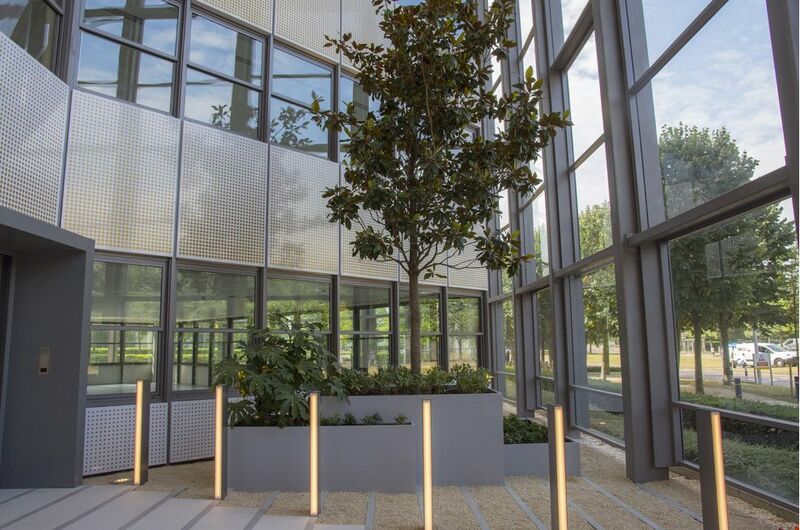 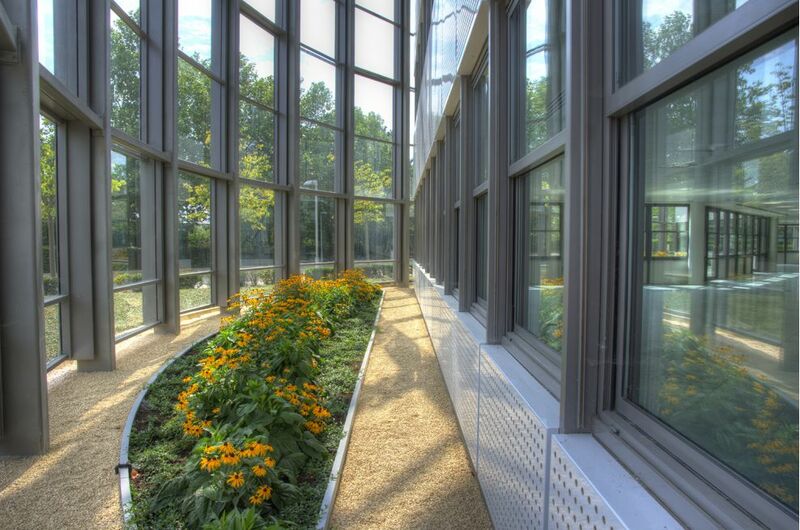 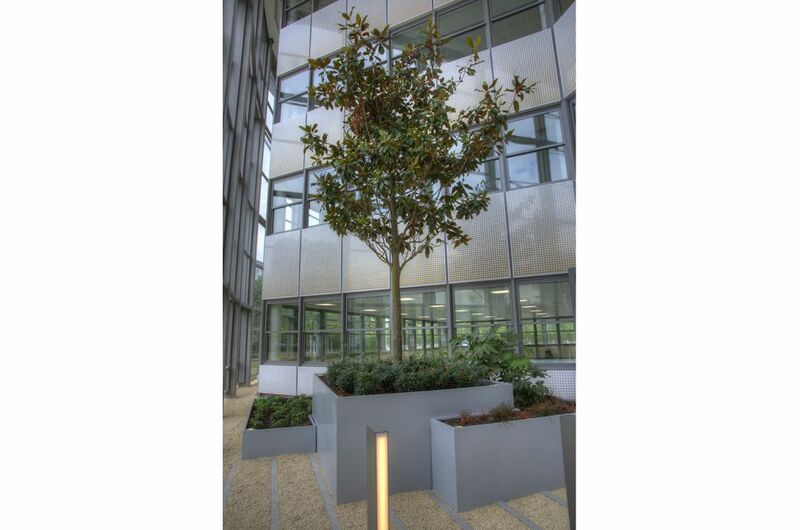 Bespoke steel planters were commissioned for the refurbishment of the landmark 5 The Square office building at Stockley Park, Uxbridge. 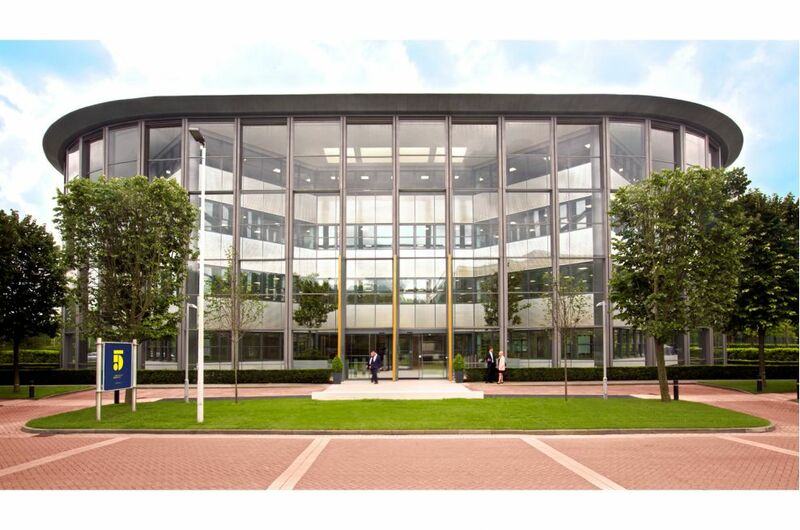 5 The Square is a ‘building within a building’; with a central core building surrounded on all sides by an outer, fully-glazed façade. 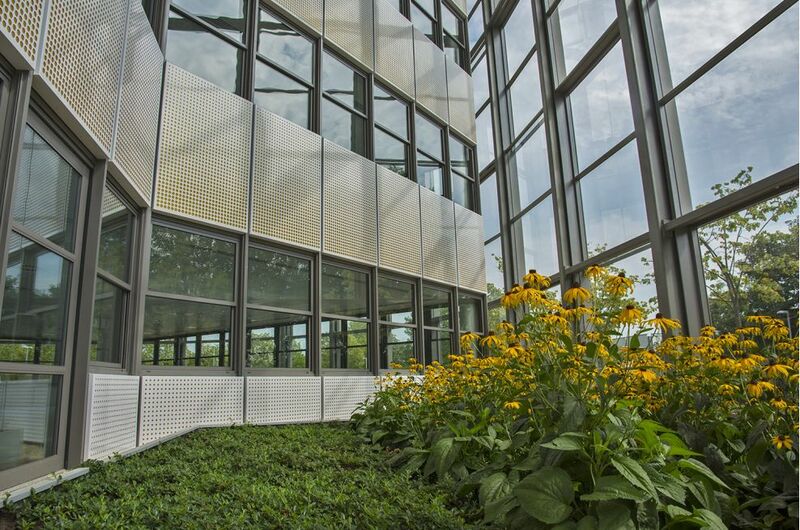 The interstitial space between the two structures is full-height, and this creates two grand atriums at the entrances to the building. 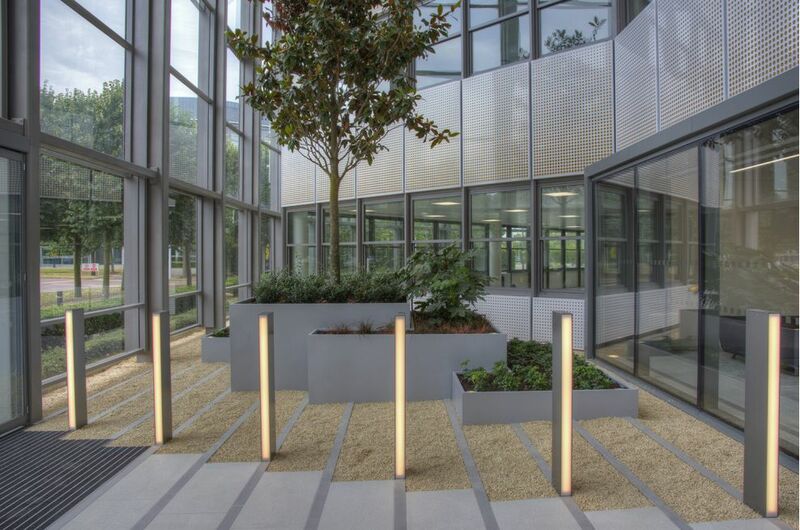 The sense of arrival is further reinforced by sets of interlocking, stepped planters, of varying heights, either side of the entrance pathway leading through the main atrium to the reception area. 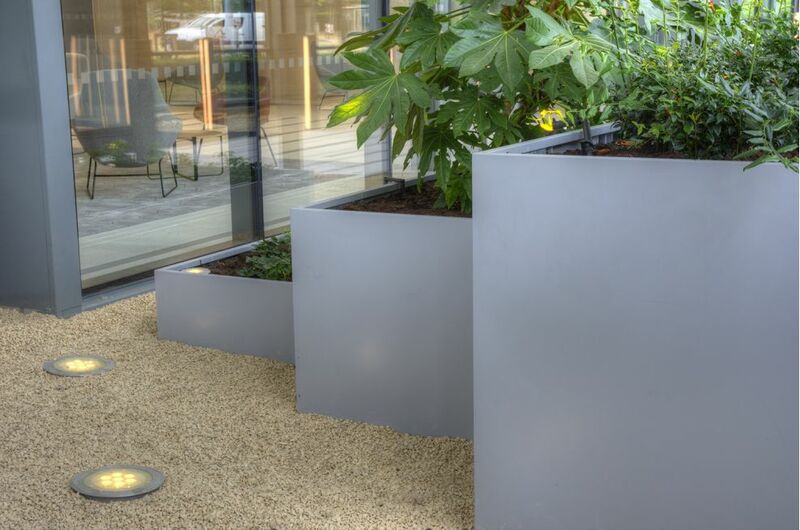 The atrium planters range in scale up to the largest at L 3205 x W 2180 x H 1250mm. 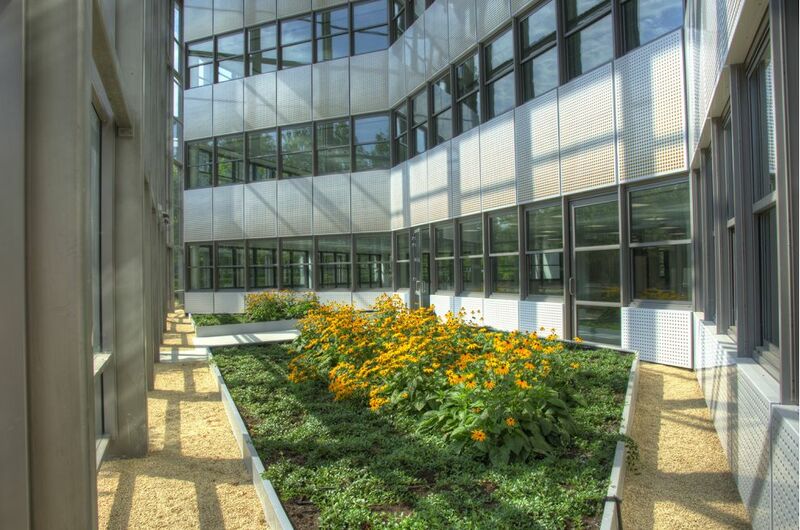 A further 10nr. 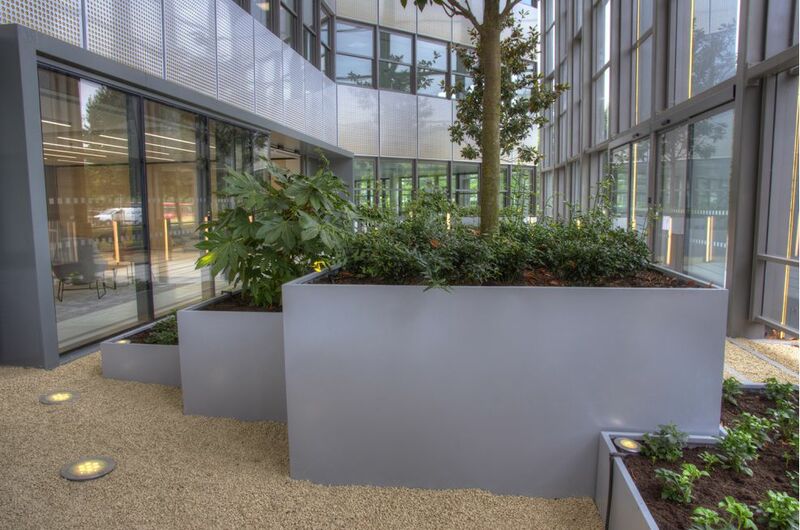 planters are located around the building, again within the interstitial space. 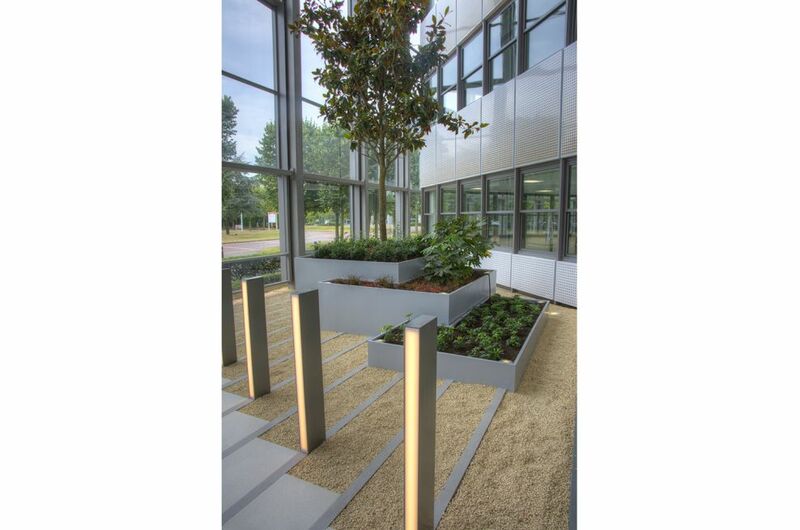 These planters are in effect planting perimeters, formed of steel uprights of H 300mm and footings of W 100mm, stiffened and braced with triangular gussets at 300mm centres. 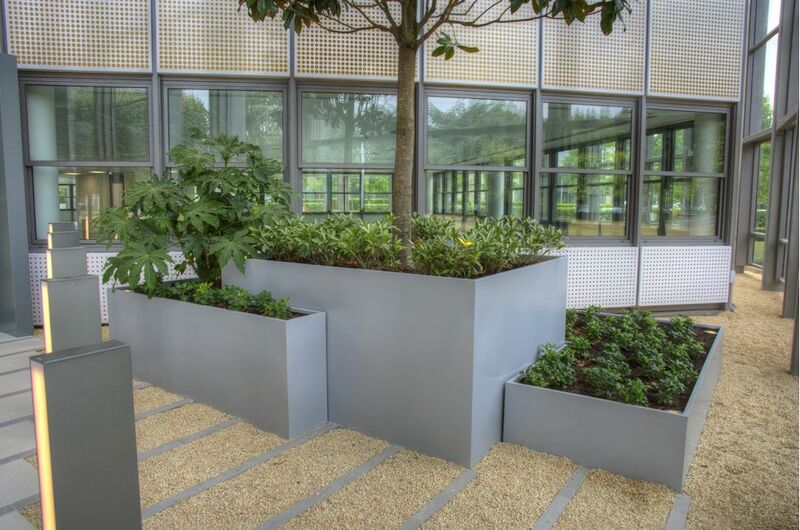 The footing is fastened to a concrete substrate with sleeve anchors. 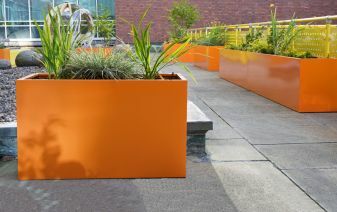 The completed planters range in scale up to the largest at L 15750 x W 2600 x H 300mm. 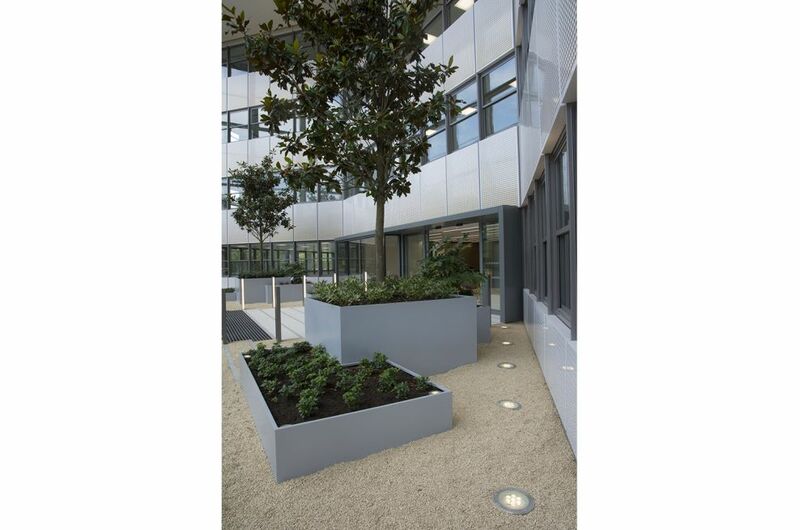 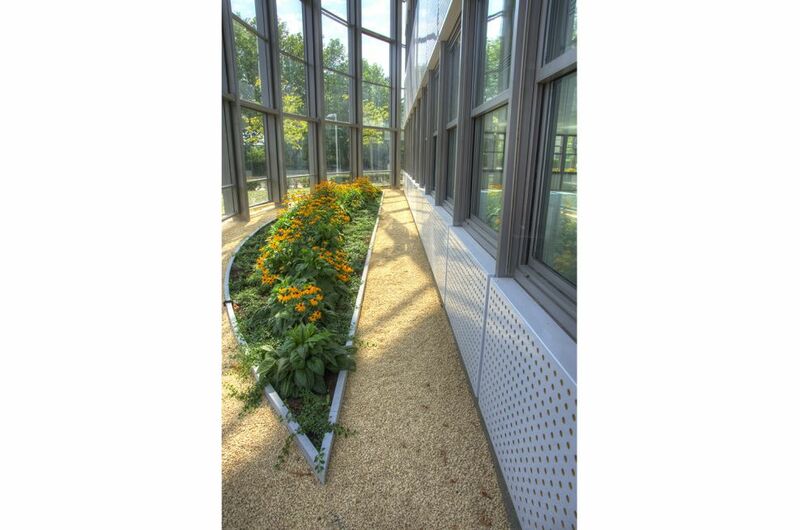 All of the planters were fabricated from 1.5mm Zintec Steel, polyester powder coated to RAL 9006 [White aluminium]. 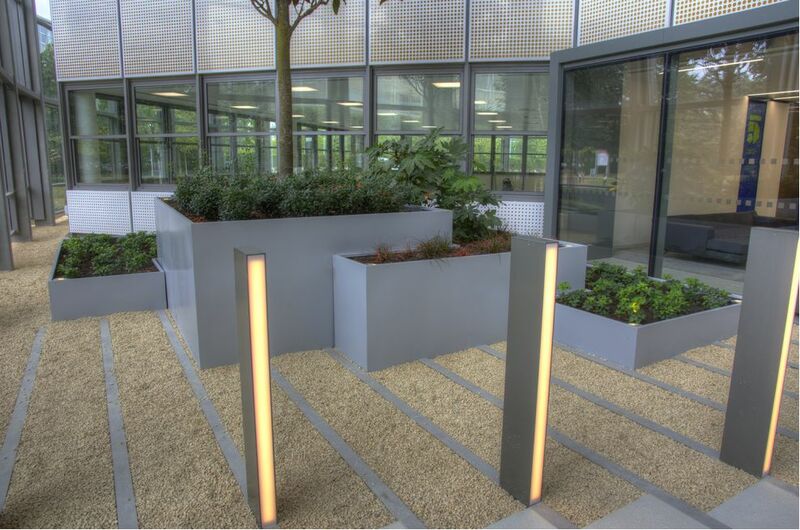 The planters were commissioned for 5 The Square by OD Interiors; and IOTA was contracted on the basis of design, manufacture, supply and installation. 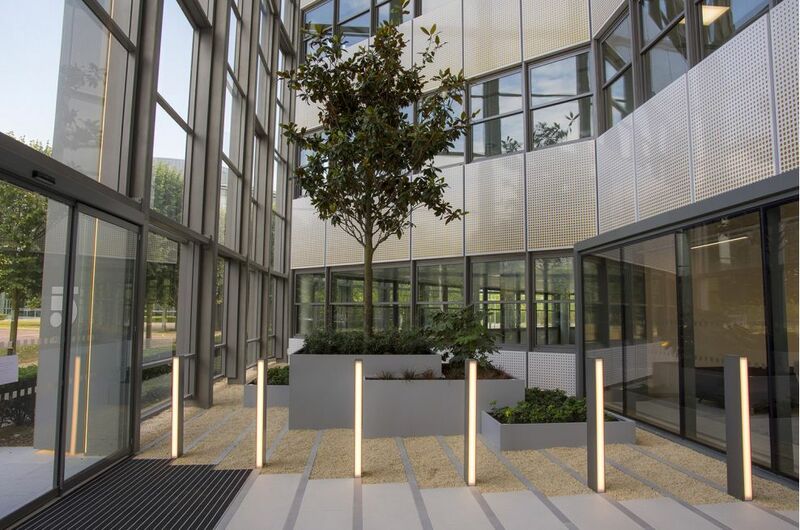 5 The Square was acquired by M&G Real Estate in 2013, and has been comprehensively refurbished to deliver 72,857 sq ft of world-class office space. 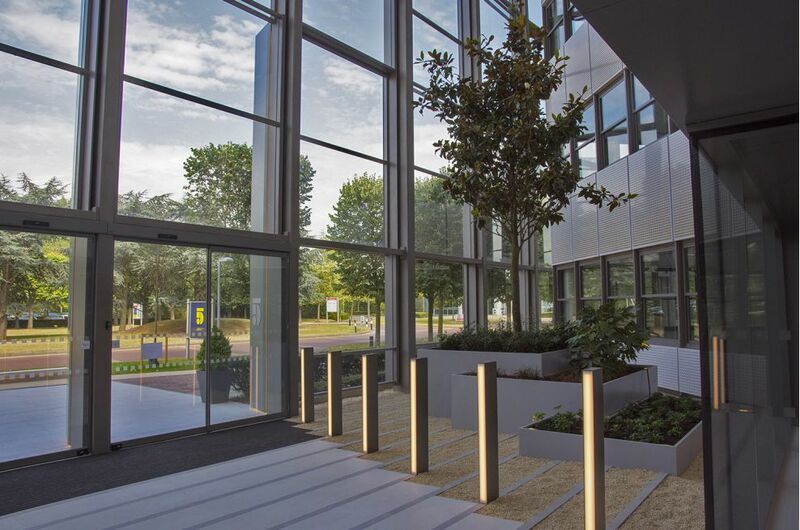 5 The Square is located within Stockley Park: one of Europe’s premier business parks, occupying 150 acres within the London Borough of Hillingdon near Heathrow, and home to global brands such as IBM, Apple, GSK and Toshiba.